The summer season is almost here! This year, however, the season may usher in heat waves, droughts and dry spells which, when coupled with the country’s tropical weather, can result in intolerably warm temperatures and a spike in local cases of mosquito-borne diseases like the Zika virus. With global technology leader LG Electronics’ innovations in the field of air conditioning, Filipino consumers can definitely be at ease and keep families protected inside energy-efficient, mosquito-free spaces. Cool comfort doesn’t have to come with an astronomical power bill with LG’s deluxe Inverter V air conditioners. Powered by the Inverter V compressor, these AC models allow for quick and powerful cooling while bringing down consumption up to 69 percent. Users can enjoy cool comfort without worrying about steep electricity bills even during the height of summer. Inverter V ACs are perfect for indoor use, with its ultra-silent BLDC fan motor and Torque Control that allow precise reduction of noise, vibration, and compression loss. The advanced smart Inverter system automatically adjusts the compressor to maintain the user’s desired temperature with minimal fluctuation. Electrical consumption can also be controlled through a built-in 4-step Watt option. All these features contribute to the energy-efficiency and cost-efficiency of Inverter V ACs. 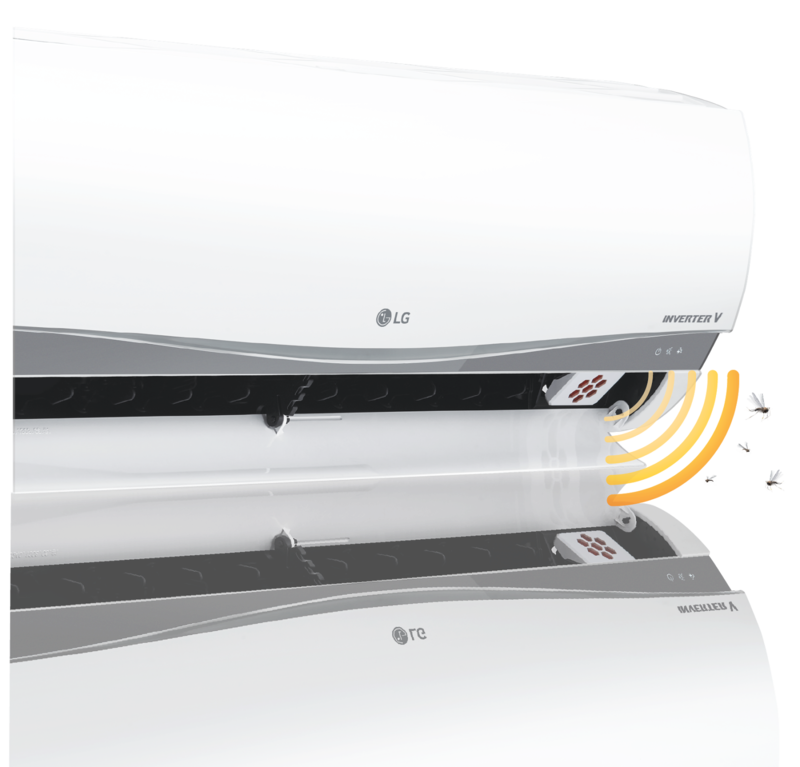 Furthermore, LG Inverter V models come in sleek, Red Dot Award-winning designs that will make them great additions to any modern space. Another revolutionary innovation from LG is the Mosquito Away ultrasonic repellent technology built into its residential air conditioning models. After careful testing, UP Los Baños Crop Protection Cluster Research Professor Dr. Pio A. Javier proved that this line of LG air conditioners repel, with 82.71 percent success rate, the dengue- and Zika virus-spreading mosquito Aedes aegypti. Aside from keeping spaces disease-free, LG Mosquito Away ACs also come with a low-voltage starter for increased energy efficiency in lower temperatures and a jet cooling feature that can quickly cool a room within a couple of minutes. For more information on LG’s Inverter V and Mosquito Away air conditioners, visit www.lg.com/ph, like LG Philippines’ official Facebook page or follow @LGPhilippines on Twitter and Instagram.